"Life is too short to wake up in the morning with regrets. So, love the people who treat you right, forget about the ones who don't and believe that everything happens for a reason. If you get a chance, take it. If it changes your life, let it. Nobody said it'd be easy, they just promised it would be worth it." Today I was covering Rej in running her Youth Marketing Conference. I accidentally met a speaker from New Zealand at the Crew Management Conference that my other fellow producer colleague was running. Sometime last year, I invited this speaker to speak at my maritime-related conference. He is a very senior Sea Master in his seventies who now very much involved in the maritime education and training industry. 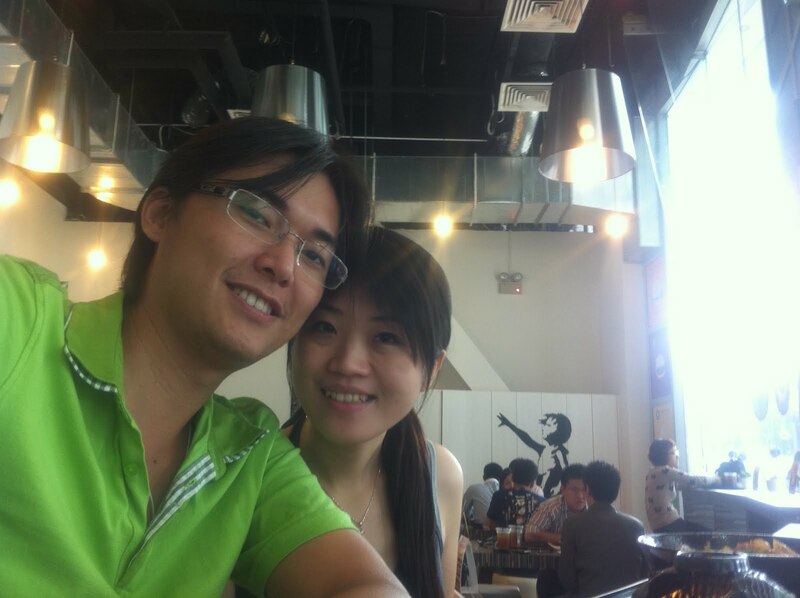 I perfectly remember when I invited him to deliver a presentation in Singapore, he requested an accommodation for his wife as well as she usually accompanied him and would be assisting him at conferences. I said no problem with that. Unfortunately, that conference was canceled due to the poor number of delegate participation. Needless to say, I never got the chance to meet both of them in person. When I saw him mistakenly going into my conference room this afternoon, I quickly greeted him and introduced myself personally. He still remembers me although all this while we only communicated through email correspondences. I then walked him to the correct function room and joyfully asked him, "So, where is your wife?" "Oh, my wife passed away in last May." I was startled. He noticed the confused look on my face and repeated,"Valerie passed away last May." For a moment, I thought he was joking but someone can't be joking on stuff like this, can he? Especially for an old gentleman like himself. I was speechless for few seconds trying to digest what he said. After processing this news rather slowly, then I kept on saying "I'm sorry to hear that..." to him. He just smiled and said "It's okay." many times. I continued, "Oh, I'm so sorry. I just thought that both of you always travel together for conferences and...". "Yes, yes. We always traveled together. Always together when traveling and at home. In fact, we just came back from our Dubai trip." "Huh? When?" "We came back from Dubai in last April and in May, she passed away". My tongue was frozen again and said "I am so sorry to hear this" (again). He smiled and said, "So, just make the most out of it!" He threw another smile at me and proceeded to the function room to join the forum. I wish tomorrow I could catch his presentation. I admired him for taking this speaking opportunity when he was grieving. My colleague invited Valerie to speak at this conference back in June but her husband was the one who, in the end, accepted the speaking opportunity in honor of his deceased wife. Whenever I saw him today, I just felt so sad. An old man. Now alone. No more traveling partner. No more beloved one to share his heart and life. My colleague commented, "Yes, it is sad, but usually in this case, it is just about who goes first, isn't it?" "Yeah, but it is just so sad. Poor thing", I replied. I never met Valerie Short personally but I bet she was a nice lady. May she rest in peace. "Life is too short, make the most of yours today." I was alone. My husband's busy fixing the kitchen's windows with his brother. It has been quite some time and yet to finish anytime soon. It's boring and women better keep a distance from it. Let the men take care of it. Relaxing and quite Sunday is today. I have nothing much to do here - which is good, sometimes. Well, actually I do have something to do. I have to start looking for a greener pasture that earns better living but I did not see any interesting green fields just now. What a laborious hunt! Thus, I chose to chill in my husband's room, turn the air conditioner on, get myself busy with his laptop and read my favorite bloggers' latest entries. Other bloggers always inspire me to update my blog too. Although there are not important stuff to share. Anyway, I saw an untouched huge chocolate bar lurking around the cabinet next to me. 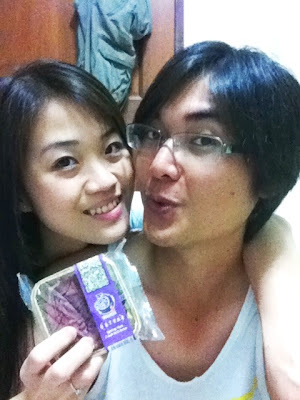 It's a fruit and nut milk chocolate bar that my husband bought at a grocery near his quarters in Mersing. Fruit and nut milk chocolate is my favorite chocolate range amongst all. Since I was quite hungry but I could not have my lunch without my husband, my sweet tooth swung by whilst waiting for husband's lunch call. I started to drool over the sugary delight in front of my eyes. I realized it's been sitting safe and sound in his room for quite some time already. I think this is the best time to wake this sweet little friend up and do the magic it is supposed to do. In summary, I decided to steal his chocolate bar, open it, break it to small pieces and eat this boredom medicine. Alone? Indulge in a big chunk of sweet chocolate is never a bad idea. And oh, my husband is still not aware of the chocolate embezzlement I just committed. I always look forward to the Mid-Autumn Festival more than any other Chinese festivals throughout the year because of the mouth-watering moon cake frenzy. 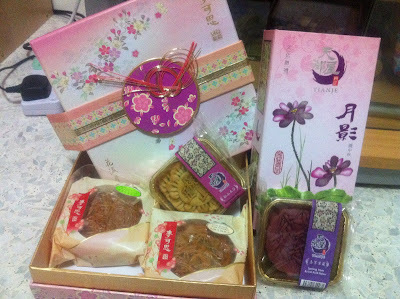 Especially, since these days people have become so innovative about moon cake flavors, fillings and skin types. For the past few years, I only celebrated Mid-Autumn Festival by eating the complimentary moon cakes from our hotel partners, if any. I never purposely bought one for myself as I think it is quite boring and sad to eat the whole thing all by myself. I could not send moon cakes to my parents back home either due to logistical reasons. Hence, I have not been celebrating Mid-Autumn Festival with my family like I used and supposed to be. For a few good years. This year is different. My husband is around (Thank God!) and in-laws are quite nearby. Geographically speaking, I now can celebrate Mid-Autumn festival - which I think officially falls tonight (15th August in Lunar Calendar), with my new family this weekend. Although most likely I will just celebrate it by eating moon cakes again since I don't practice pai-pai. 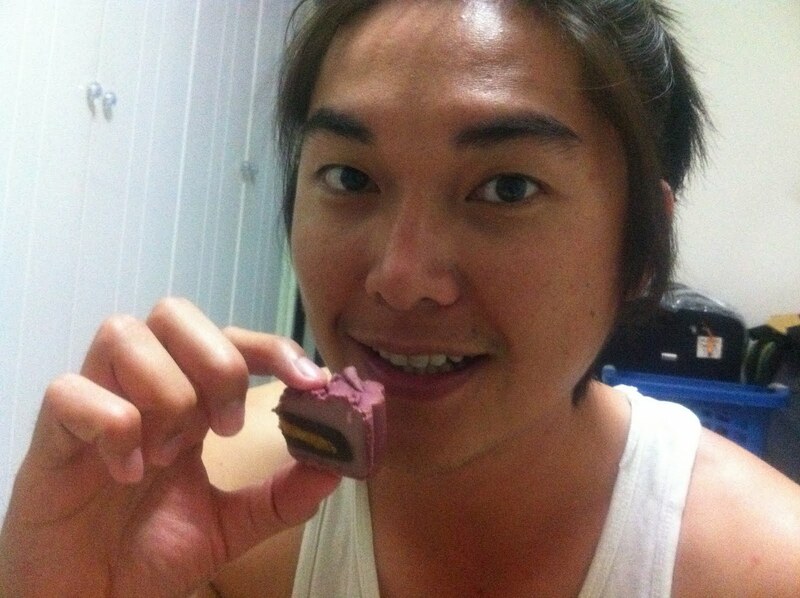 My husband gave me a surprise visit last night and suddenly after dinner, he felt like celebrating the moon cake festival by eating one of the moon cakes that we bought for our parents over the weekend. I guessed he was very inspired by the full moon in the dark sky that we spotted outside last night. Moon cakes bought from Carrefour, JB: Same quality but so much cheaper than Singapore's moon cakes! I love the pretty boxes. 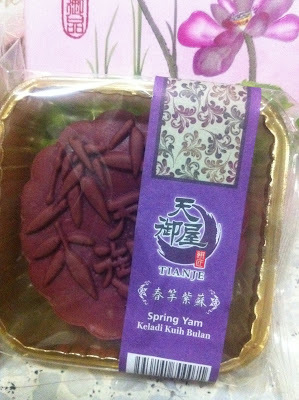 See the three layers filling for the Yam's moon cake?! So nice! So what is actually this Moon Cake Festival about? My husband and I had a discussion about the legend of this festival last night. Both of us were not quite sure about this but we were positive that it's a love story which involves a human, a Moon Goddess and a rabbit. A quick check from Wikipedia, the Moon Goddess, Chang'e, apparently could only meet her mortal husband on earth, Houyi, once a year during the full moon (unimaginable!). I am not quite sure of the whole love story but apparently the rabbit and Chang'e pound herbs together for the gods on the moon (Huh?!). Since there are quite a number of versions for this legend in Wikipedia, I could not be bothered reading the whole stories. Just a thought - maybe it is easier and more economical to just ask the elderly to meet the curiosity about the legend behind Moon Cake Festival. Some people really think that this festival is quite a big deal. It is beyond eating moon cakes or distributing moon cake gifts to close friends and relatives. Some do celebrate this by doing pai-pai, having dinner with family and other sorts. Moreover, China nationally celebrates this by having three days public holiday starting from today. Amazing. How I wish Singapore did this too. My husband had dinner with his colleagues outskirt his site area to celebrate this big day. How did I celebrate this? 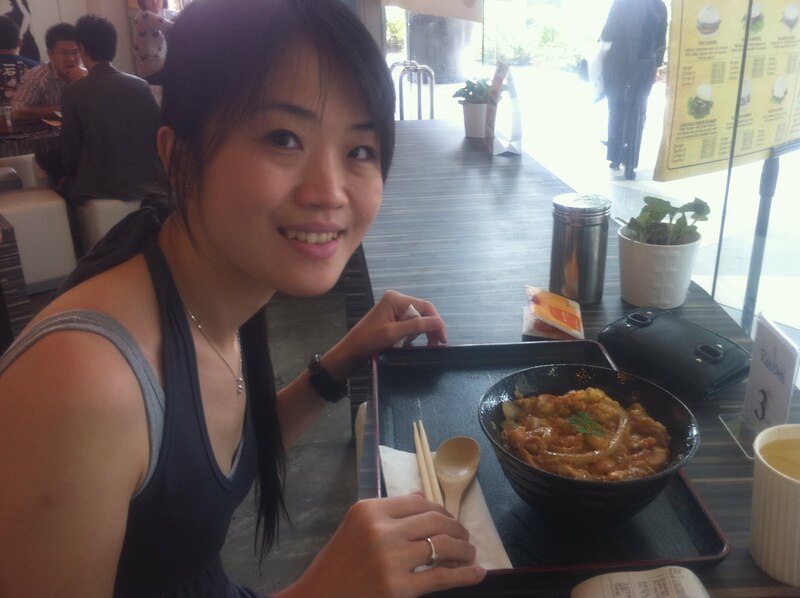 I just had a normal dinner and went shopping with Iris Tan at Far East Square. More resourceful. Tomorrow, 23rd of September 2010, is Rej's last day with us. I still cannot believe that I won't be seeing Rej on daily basis anymore in the office from tomorrow onwards. 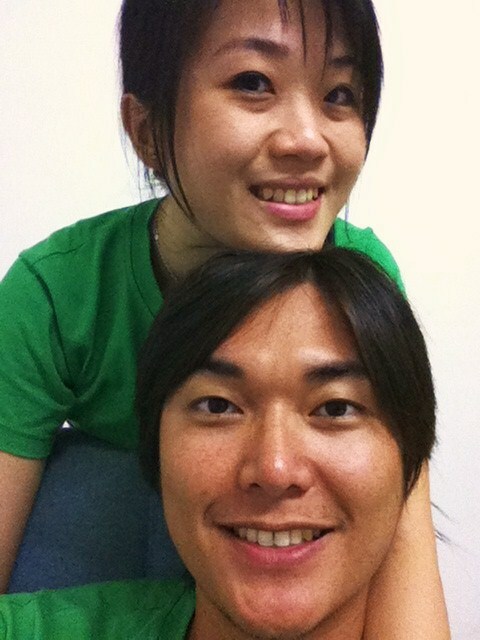 We both had shed tears and laughter together for almost two years. I am so going to miss her! Shaz initiated the farewell gift purchase for Rej on Monday evening. All producer fellows agreed to chip in. According to him, Rej has a diva image hence he suggested buy accessories for her from Thomas Sabo. Obviously, he knows so much about accessories and fashion luxury brands and I know almost nothing about it. I have never even heard of Thomas Sabo brand before he mentioned it. Yesterday lunch time, Shaz, Iris, Irish and I decided to have a quick visit at the nearest Thomas Sabo's outlet at Raffles City Mall. On our way to find the outlet, we were sort of attracted by Swarovski's mega bright outlet. Needless to say, we had a good check on their affordable yet pretty stuff there. Done with checking Swarovski's charms and bracelets, we continued hunting Thomas Sabo. Turned out, Thomas Sabo's outlet is just located somewhere opposite Swarovski's outlet. 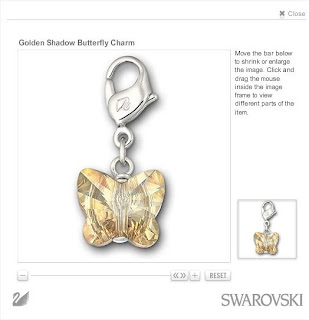 After checking their catalog, we found Swarovski's charms were still better than Thomas Sabo's although pricing wise, some of Sabo's items were somewhat more expensive than Swarovski's. Finally, we headed back to Swarovski's outlet and bought a charm from there. We bought something that I personally think would really suit Rej's personality and style. I hope she likes it when we present this to her tomorrow. 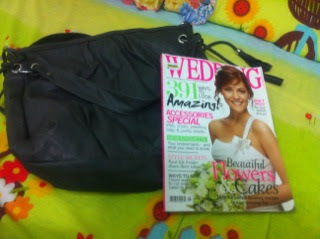 And by the way, it was actually my first time buying luxury accessories like this. I have dropped by Swarovski's outlets few times before with my husband but never with any intention of really buying their bling-bling. To me, they are just very pretty glass decorations with pricey charge. No offense to Swarovski's fans out there. Bye-bye, Rej......... We will miss you. Wish you smooth sailing in the new ocean! "Time is the most undefinable yet paradoxical of things. The past is gone, the future is not come, and the present becomes the past even while we attempt to define it, and, like the flash of lightning, at once exists and expires." When it's Monday, I wish today was Friday. When it's January, I wish February to come faster. When it's just September, I wish Christmas was here. When it's only the 15th, I wish tomorrow would be the 26th. When it's only 9.00 in the morning, I wish the clock ticked faster and hit 6.00 in the evening. When I just start a new project, I wish I was already in the midst of wrapping it up. When I was engaged, I wished to be married already. When I had registered my marriage, I wish that the wedding celebrations had actually taken place too. 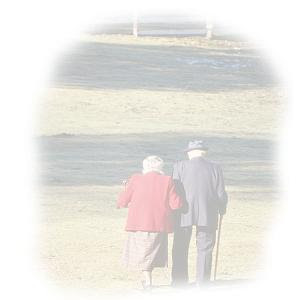 When I was separated from my loved one, I wished he was here with me every day and night. And the wish list goes on and on. I am impatient. These days, I just like to fast forward literally almost everything in my life. I give pressure to myself despite the plenty of time I have. 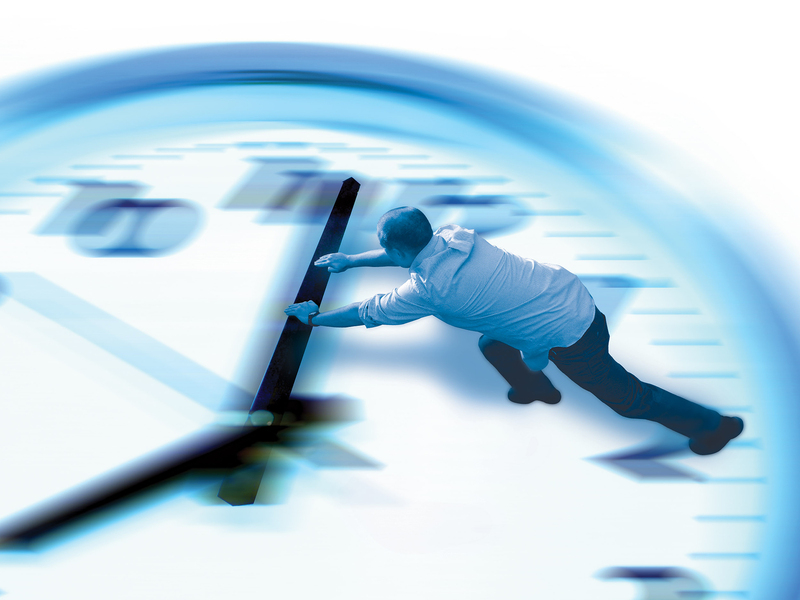 I force myself to meet my own deadlines which sometimes not really that urgent nor necessary. I ignore the joy of being in the process to get to my destination. I forget how nature works wonder and fixes everything when the time is just right. I am not a happy person before I really get there. So, I think I really need to slow down now and listen to the wise men who said "There is no better time than right now to be happy. Happiness is a journey, not a destination". I need to try best not to be too carried away with the 'extra-rush' culture here, where actually the end result would be not much different had we run in normal pace. Let nature works. Just don't force a woman to deliver the baby before nine months, like some people remark. This afternoon my husband asked for an extra mouse pad for his laptop and I came across this one. A brand new mouse pad that I have yet to use since I bought this last month at First World Mall, Genting. Cute mouse pad. A reminisce from Genting. I found this cute mouse from a small stall selling stationary, accessorizes, bags and the like. There was this 'ALL 10% DISCOUNT' writing in this stall. From the price label, this mouse pad cost RM 9.90. In my imagination, with 10% discount, it would probably worth RM 8. Not that expensive. The seller was a Mandarin-speaking woman, so my husband was the one who had to liaise with her and purchase this for me. "So, how much this one costs after discount? ", I asked my husband after he talked to her. He said "RM 9.90." "Huh, no 10% discount? See the writing there." He confirmed with the seller again. "Apparently, all the stuff in this stall has 10% discount except this mouse pad. ", he replied. "HUH! What kind of rule is this? So weird and unfair." Thinking back, I found this seller was quite ridiculous. All the stuff that she sold had 10% discount as per stated in the sign board but one item. However, one thought is that maybe the discount sign board was just her marketing gimmick and she did this to other customers when they bought something from her. She'd say to them that the item that they want is not on discount. All the stuff, but the one that the customer holds. Anyway, my husband still bought the mouse pad for me with full price since I wanted it that bad. My husband is very particular about Swiss-made watches. To him, a good quality watch has to be a Swiss-made. After long arguments, bargains and Q & A sessions with the shop keepers, finally he asked them to prepare the sale receipt of White Tissot Trend T-Wave for ladies. There you go. The watch shop just sealed another big deal for the day. Bless them. And I got a very nice Swiss-made brand new watch from my husband. Bless me. Thank him so much! Another sweet late birthday present from my husband! I never thought I'd love bling-bling and other accessorizes now. I was tired and super sleepy when he asked me to pose with my new watch last night but I was a one happy woman. There is one thing that I found very interesting about this watch. Its white dial is made of Mother of Pearl. I heard of pearls and shells but I never heard of Mother of Pearl. Is it a name of a famous Goddess from the Sea that I never knew before? A western myth? A type of pearl? Or what? When we reached the restaurant and had a chance to sit down, both of us quickly searched for Mother of Pearl in Wikipedia through mobile's internet. 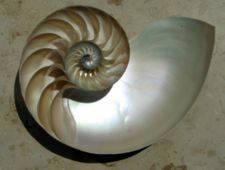 A picture of iridescence Nacre inside a nautilus shell from Wikipedia. Interesting huh? Just from buying a new thing, we accidentally learned something new last night. To conclude our dates, Kodak moments are must to do for us, whenever possible. And that's all for the Saturday night date in JB. After clearing the Kenny Rogers' half smoked BBQ chicken, we were ready to go back to Singapore, before the bad traffic jam to Woodlands hit us. Thank you, thank you, thank you very much for everything. 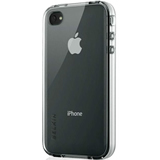 On Monday, Apple sent me a shipment notification email saying that my Belkin Shield Micra for iPhone 4 will be delivered on 17/09/10. True enough, yesterday afternoon I received a small package from DHL containing my transparent Belkin Case. My iPhone 4 is now better protected. I am still using the normal iPhone 3GS screen protector so it actually covers the front camera in iPhone 4. Okay. I am happy with my iPhone 4, especially its extra sharp picture quality. Big time! However, I am quite frustrated with the Whatsapp application now. It hangs so often more than ever before. Almost everyday I now have to restart my phone because of this problem. Is it the Whatsapp itself that has problem? Or iPhone 4 really has antenna problem as my friend said? Or is it because now I live on the 20th floor and high rise building actually affects the 3G connection on mobile phone? To me, Japanese food for lunch always costs me more than other food that I can find around my working place but these days I really cannot resist Japanese don for lunch. Usually I always try to budget my lunch to be around S$5/day but once in a while, I do spend more that that to break the routines. In this case, a bowl of don and a glass of ice tea would cost me about S$10. My colleague introduced me to R-Burger outlet nearby my office a couple months ago. They sell a very different kind of burger, a healthy kind with collagen, but I always go for their don. Their oyakodon, to be exact. I have been visiting this restaurant for their oyakodon almost on weekly basis now. Oyakodon is a Japanese rice bowl covered with cooked eggs, chicken cuts, sweet onions and other ingredients. I love the Japanese sauce taste that they use to cook this dish. The egg topping is so thick and usually tastes sweet. The hot rice beneath the egg topping tastes so yummy. It is usually served with a small bowl of miso soup too. I usually like miso soup but since this restaurant puts Chinese radish cuts onto it, I skip their miso soup. Chinese radish is my enemy. I just can't stand its smell when cooked. Its aroma makes me feel nauseous. My husband happened to be in town last Friday. I was working and he was resting at home in Singapore (for the entire day). A rare experience for me. He came all the way to Raffles Place to see me for lunch so I took him to try my new favorite lunch menu. Since my husband had a sore throat and body heat, instead of ordering my regular ice tea, I ordered hot tea. I could not hear the waiter's pronunciation for the hot tea that they have other than hot green tea. His Filipino accent was too thick to my ears. I thought he was mentioning an English tea brand, so I just said yes. In the end, a cup of hot buckwheat tea was served to us. We both were surprised with its taste. We actually ordered two dons. The other one was this rice bowl with thin-sliced pork but I didn't really like it due to its strong ginger taste. As usual, my husband was the one who had to finish food that I cannot or don't want to finish. And I forgot to take this pork don's photo. 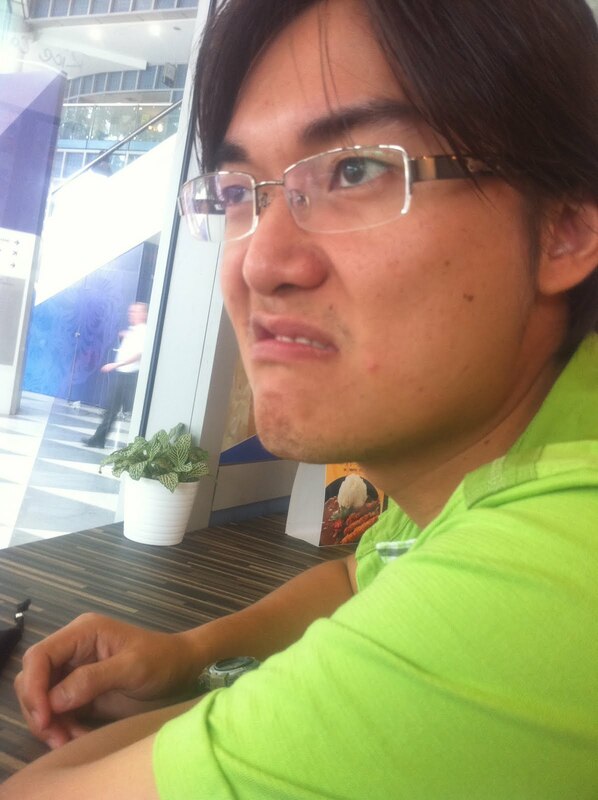 His ugly/funny face: Husband was a little bit moody that day since he was a bit sick. That's was my special Friday lunch, with husband around. Something to remember as it really does not happen often. I no longer fall in the early twenties category. I have crossed the 1/4 century mark and am now 26 years old. I am now officially in my late twenties already. So auntie! Anyway, I had a wonderful birthday celebrations yesterday, literally for almost the whole day. 12.00am. I was showered with tons of sweet birthday greetings from friends all over the place online and offline. Those who are very close to my heart celebrated my birthday like celebrating a small kid's birthday. I had birthday cakes and birthday presents! I really felt so pampered. 3pm. My dear colleagues surprised me with a birthday cake and sang the birthday song to me. This year is my last year celebrating birthday together with my dearest colleagues, Iris and Rej. Both have decided to move to a greener pasture and this month is their last month in our company. I am both happy and sad. Happy to see them moving on to a better place out there. Sad for bidding farewell with them. I am so used to have them around five days a week and honestly, I am so dreadful with their coming departures. Celebrating birthday with all the producers. I could only think and wish of one thing when making my birthday wish that afternoon. My loyal cake cutter specialist is leaving me soon! Birthday presents from Iris and Rej! So sweet of them. Celebrating my last birthday with Iris Tan in this office. I am so gonna miss her friendship, my lunch and shopping buddy. You are more than a colleague to me. Celebrating my last birthday with Rej too in this office. I am so going to lose such a wise, mature and funny friend in the office. Jen, our graphic designer, who knows me the longest since I set my foot in our working place in Singapore, also gave me cute birthday presents. Sweet sinful treats from Jen. 6pm. Right after work, I headed to ION's Food Hall in Orchard to meet my BFF from Malang who happened to be in Singapore this whole week. I have been wondering how come Astrid had forgotten my birthday. No birthday greeting at all from her. Turned out, she did that on purpose and presented me my second birthday cake for the day on our way finding a cafe. Me and my birthday cake from Astrid. I was so delightful to have her here in Singapore during my birthday! 8pm. God granted my wish. Despite his super busy schedule, my husband managed to see his wife that night and surprised her with the a set of birthday cakes and additional hidden presents (on top of the iPhone 4 I got over the weekend)! My husband and my third birthday cake. Additional birthday presents from Hubby. I had such a wonderful birthday with loving people surround me. I celebrated my very first birthday as Mrs. SYK. All the more, my fervent wish was granted. I could not ask for a better birthday than this. ~Thank you for all the best wishes and kind birthday celebrations, Friends. There is only one 7th of September in a year and thanks to all of you, I had such a sweet and memorable 7th of September this year. I can't thank you enough for celebrating this with me. "Whatever you ask, may you receive. Whatever you seek, may you find. Whatever you wish, may it be fulfilled." My fervent prayer for tonight: I wish tomorrow he would be able to come before my eyes and accompany me pass my 9,496th day (or night) on this earth. That's it. My friends told me not to pin too much hope on this, although there is a possibility. Don't get angry. Don't fight. Don't get mad. If he can't. "Growing old is mandatory; growing up is optional." 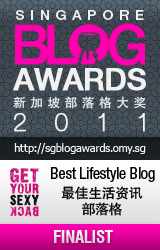 My dear colleague, Iris Tan, introduced a wedding/ROM photographer specialist for my ROM last month. So,we finally decided to engage Nick Goh to do this job, only 2 weeks notice. Luckily, he was able to do this! His modus operandi was to freeze our happy and once-in-a-lifetime moments in a beautiful manner. For the classic photo package that we took, he gave us 60 printed ROM photos in total for the album and more than 120 soft copies of other shots during the ROM. This is his capture that I personally love so much! It was just taken in front of the glass wall at the entry gate of the Registry Office. He called this the 'Silhouette Photo'. To praise my own photo undoubtedly sounds very cheesy, I know; but I myself can't help to admire the way my husband and I were portrayed in this picture. So calm and beautiful. Hmmm... Love it! This is what happens if your partner is an IT and gadgets geek. You'd become one. Sooner or later, unexpectedly. Before I met my husband, checking the latest gadgets like new mobile phones in the internet or even in the physical shops was the last thing I would do during my spare time. I would rather sleep during my spare time than checking these stuff. I would definitely only check latest mobile phones in the market only when my current phone is broken and I need to get a new one. Since I met him, a keen IT and gadget follower, he would constantly update me with what is going on in this IT telecommunications industry, whether I was interested or not. I hear him talking about it. A lot. He shows me the new gadgets' launch videos or other detailed features explanations in You Tube. He teaches me to use almost all the available features inside my current smart mobile phone to the optimum level. He asks and advises me to download all the interesting and important features or games or software for my mobile phone. Thanks to him (big time! ), I am now sort of knowledgeable with the latest trends on mobile phones technology, especially on my current mobile phone, iPhone. Buying iPhone 4 was, again, the last thing in my shopping list since I felt that my current iPhone 3GS worked just fine - though it hanged more often recently. iPhone 4 was officially released in Singapore in late July this year. My husband's brother bought one online in Singapore but he didn't quite like it, so he asked him to help him resell it in Malaysia. My husband also asked me to order more iPhones online since he feels like upgrading his and he wanted to offer the other one to some interested parties. I ordered two a couple weeks ago. Last weekend, he showed me my brother in law's iPhone 4 and did some quick comparison between the 3GS and the 4 versions. I was, in fact, quite interested with the latest version too. The resolution of iPhone 4 is so much better and its speed is faster than 3GS. Hence, I was tempted to have brother in law's iPhone 4 first and sell my iPhone 3GS. My husband was the best supporter for this decision. Last night, he stayed up until am just to back up all the data in my iPhone 3GS and transfer everything to the iPhone 4. This morning, I officially held my new phone. I am now a proud user of iPhone 4. Higher resolution - With higher pixel density, images appearing in the phone are now super sharp and clear. I totally love this! Check how clear and sharp the image in my screen saver now. Video call - This 'face time' feature now is available but I have yet to test it since my husband still uses his 3GS. Two cameras, two views and five mega pixel camera with LED Flash - Since this phone has cameras on the front and the back, it's easier to take a self-portrait now. And of course, better photo quality and experience with the flash and more pixel. It's easier to take self-portrait now. And the result is indeed much better and focused. Multitasking - This feature is actually to run and switch favorite third-party applications instantly. I have used this feature in my 3GS quite some time ago since there was this iPhone 4's software update which was made compatible for 3GS. So far, I really enjoy playing around with my new iPhone 4. No regret for upgrading the phone although initially, it was not in the plan at all. I am kind of excited with my new toy now. My husband placed an order online for my new iPhone 4 case this morning. All he needed to do was to download the iPhone 4 Case Program online from the App Store. It's free of charge and we just have to remember to apply for it within thirty days of iPhone 4 purchase. It says the shipment will take about two weeks time. Can't wait for it to hit my desk! "Once upon a time, in the State of Qi there was a man who always let his imagination run away with him. He even worried that the sky would fall on his head. He was so worried that he could neither eat nor sleep. Later, someone persuaded him that his fears were groundless. His friend walked up to him and told him to calm down. The man answered, “But if the sky won’t fall down, the stars or the moon or the sun may!”. His friend walked away in frustration." So, the message is: Don't worry! My husband planted this idiom into my head over the night due to my excessive worry over random things recently. It irritates both of us. But again, if only living life easy and worry-free is really that easy to do.... Sometimes, due to various reasons, we just worry. Unnecessarily or not. I am out of control. Help! *The story behind the idiom was copied from various sources on 杞人忧天 legend found in the internet.